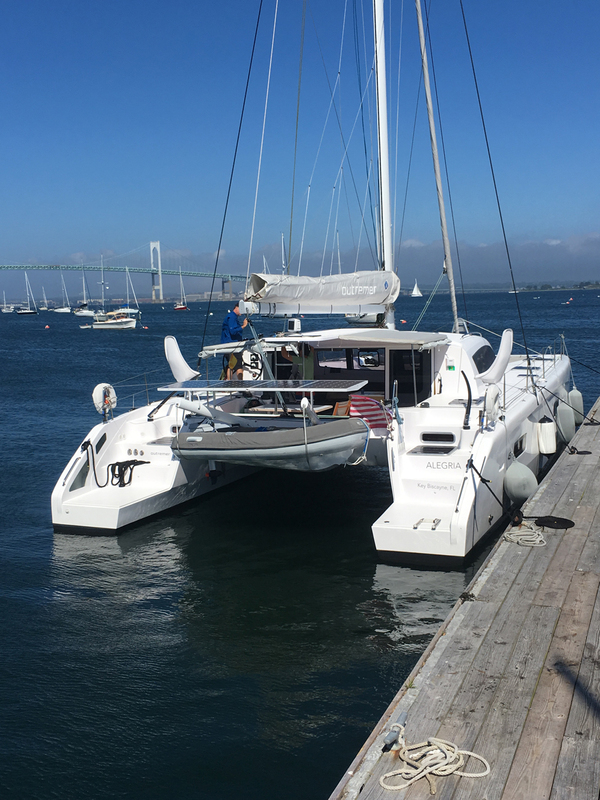 Outremer 45 Catamaran owners just arrived in Jamestown, Rhode Island. The owners of ALEGRIA made the journey from Miami, FL and were all smiles upon arrival. 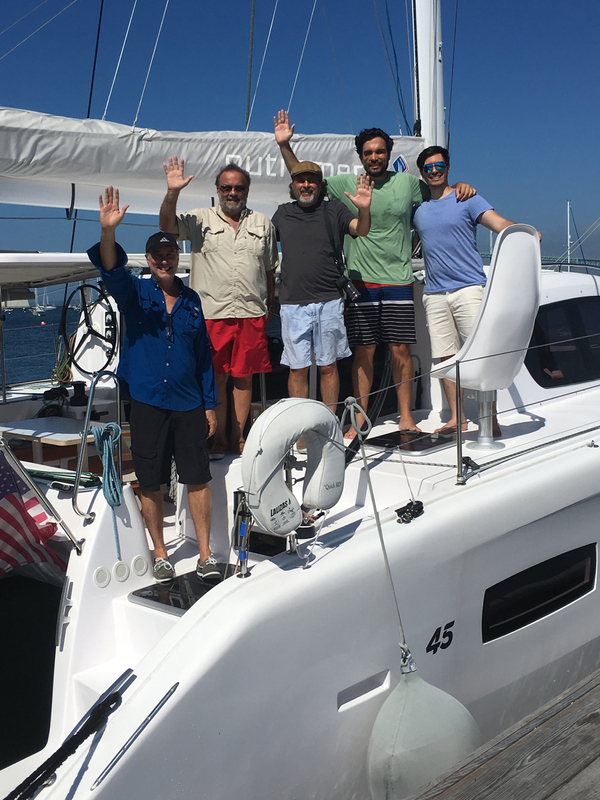 Outremer specialist and Just Catamarans yacht broker Robert Taylor was there to greet the group in Jamestown. ALEGRIA owners plan to make their way through Marthas Vineyard, Nantucket, then through the Cape Cod Canal to Boston.